A hot and humid day, with heavy showers already bubbling up by noon. I followed last Saturday’s birding route, starting in the coastal pines at Qigu, working my way south then east around the levee, then checking out the trees and marshes on the southern side of the Tsengwen river. There was no sign of any of Saturday’s interesting birds, and migrants were far fewer in number today. It’s starting to feel like summer here. At Qigu, a smart Long-toed Stint was probably the highlight. Numbers of the common passage waders were in the low single digits only, but 25 Avocets were still hanging around one of the pools along the levee. Nothing of note in the coastal forest apart from 2 Arctic Warblers still. A lone Caspian Tern was back at the marshes, several Little Terns were around, and about 8 Greater Crested Terns fished offshore. On the south side of the estuary, there was no sign of Saturday’s Asian Dowitcher. Just as the rains arrived, I finally rescued a tick for the day, with two Azure-winged Magpies in the grounds of Sihcao Artillery Fort. 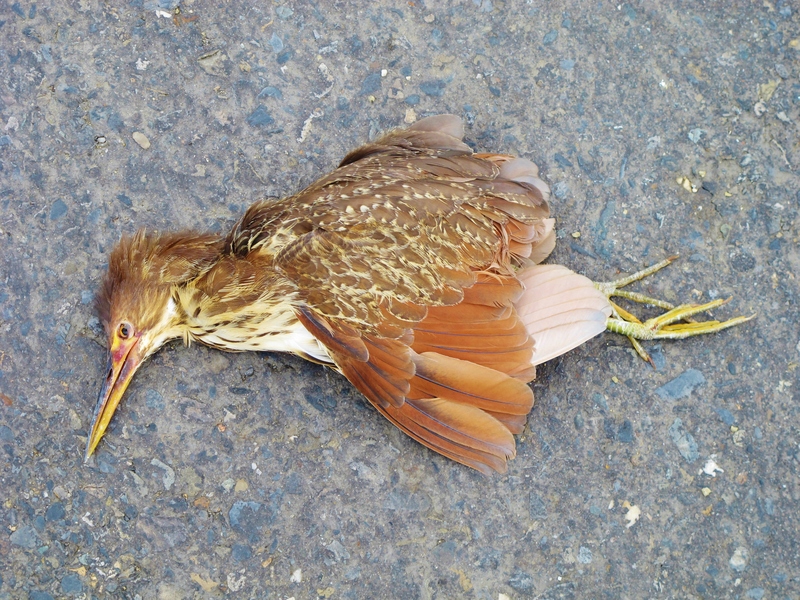 This is an introduced species in Taiwan, and despite being somewhat “plastic” is still a nice bird to see. Other waders seen: Broad-billed Sandpiper, Curlew Sandpiper, Marsh Sandpiper, Sharp-tailed Sandpiper, Red-necked Stint, Avocet, Whimbrel, Grey-tailed Tattler, Grey Plover, Pacific Golden Plover, Greater Sandplover, Mongolian Plover, Kentish Plover, Common Greenshank, Common Redshank, Common Sandpiper. Migrants continue to trickle northwards along the Taiwan coast, and some interesting oddities were seen during a four hour visit to the Qigu and Tainan marshes this morning. The showery weather of the last few days has probably helped to ground a few migrants; for example it was notable that Brown Shrikes were very numerous today. In terms of rarity, the outstanding highlight was an Asian Dowitcher on a pool just inland of the coastal belt of woodland, on the southern (Tainan) side of the Tsengwen estuary. At first, all too briefly, it was close to the road associating with three Avocets and a couple of Marsh Sandpipers. However, a passing scooter soon flushed it to the far side of the pool, where it showed well but rather distantly. Unlike the full breeding-plumaged individual I found at Aogu last weekend, this bird was only just starting to moult into summer plumage, and had a rather strong head pattern with a distinct supercilium; it was also up to its belly in water and for a brief moment I wondered if it could be a Long-billed Dowitcher, but it soon wandered into shallower water where its black legs could be seen. The thick, all-black and “drop-tipped” bill is also a giveaway even at long range. Two self-found Asian Dowitchers in just seven days is lucky indeed, but I couldn’t help wanting to trade at least one of them for a Nordmann’s Greenshank, the only East Asian shorebird I still haven’t seen. Such is birding! Elsewhere, the coastal pine forest at Qigu produced two Arctic Warblers and a Brown-headed Thrush, in other words similar birds to last week but minus the rarities. A migrant Chinese Sparrowhawk flew north along the coast, a year tick for me, while two Black-shouldered Kites were in the area. Today, I drove the full length of the levee road around the Qigu marshes, where the best bird was a superb Little Bunting beside the road, my second rare migrant bunting species this week after Tuesday’s Tristram’s Bunting at Donggang. There weren’t many waders on Qigu marshes today; the water level was high, limiting the amount of exposed mud. However, a Gull-billed Tern here was a Taiwan tick for me. Offshore, Greater Crested Terns fished in the mouth of the Tsengwen Estuary, while further around the levee on a reedy pool, I disturbed a Ruddy-breasted Crake which gave me a five-second view before it disappeared into cover. A flooded rice paddy held a big mixed flock of breeding-plumaged Broad-billed, Curlew and Sharp-tailed Sandpipers and Red-necked Stints. The bird I enjoyed the most today is a fairly common passage migrant in Taiwan: White-winged Tern. There were three of them with Whiskered Terns at fishponds next to Highway 17 near Cheting, and another overflew the Tainan marshes. It’s a dazzling bird in its spring plumage, and one I cannot imagine ever getting tired of seeing. Taiwan ticks: Gull-billed Tern, Little Bunting. Year ticks: Chinese Sparrowhawk, White-winged Tern. Fairy Pitta, Linnei Park, May 4th. 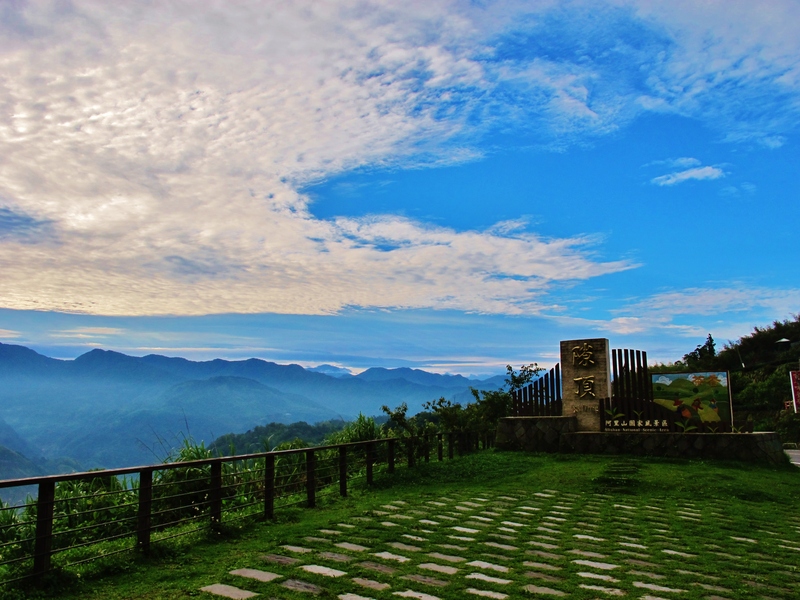 This was a trip I’d been anticipating for a long time: an early May visit to Huben in central Taiwan, which is famous for being a reliable breeding area for the globally endangered and declining Fairy Pitta. 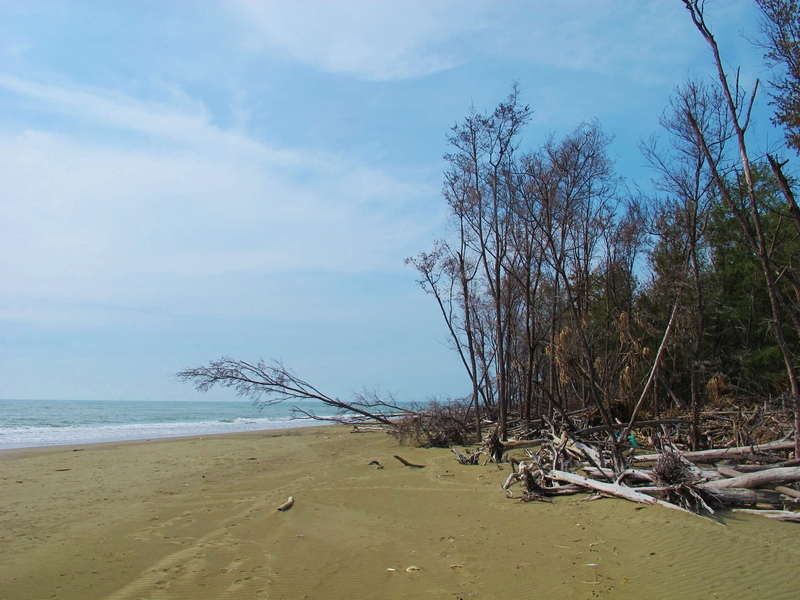 The birds return from their wintering grounds in Borneo in late April. They are vocal and conspicuous on their breeding territories until mid-late May, but become quiet and very elusive as the summer progresses. I reckoned I had picked just about the peak weekend for my best chance to see this stunning bird. I arrived late on Saturday afternoon after an excellent day birding the West Coast wetlands. My first port of call was the Pitta Cafe. 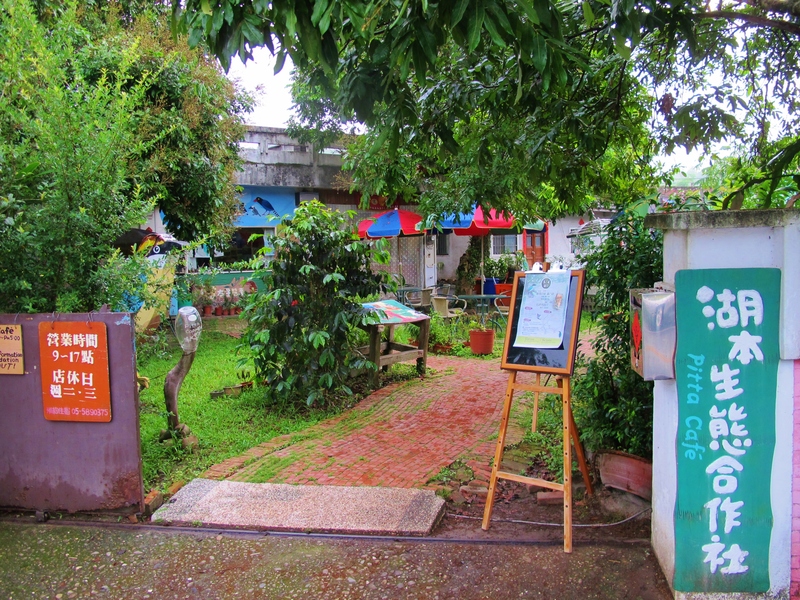 The excellent Pitta Cafe in Huben Village, a good place to go for the latest information on Fairy Pittas in the area. The Pitta Cafe offers accommodation as well as food and drinks; rooms are basic, clean and comfortable and cost just 500NT including breakfast. The owners speak a little English and are well used to birders and their early morning starts – they were willing to make breakfast for me at any time from 4am onwards! 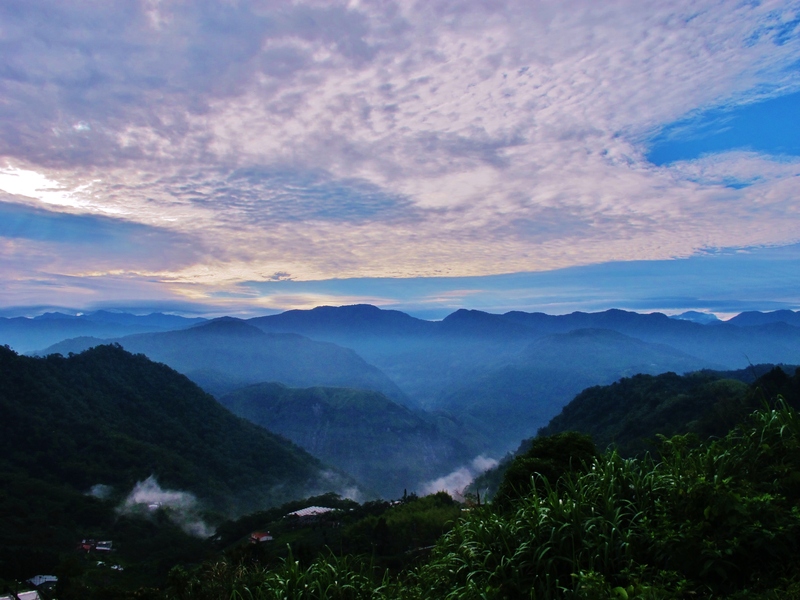 I went to sleep to the sound of a Mountain Scops Owl calling nearby. 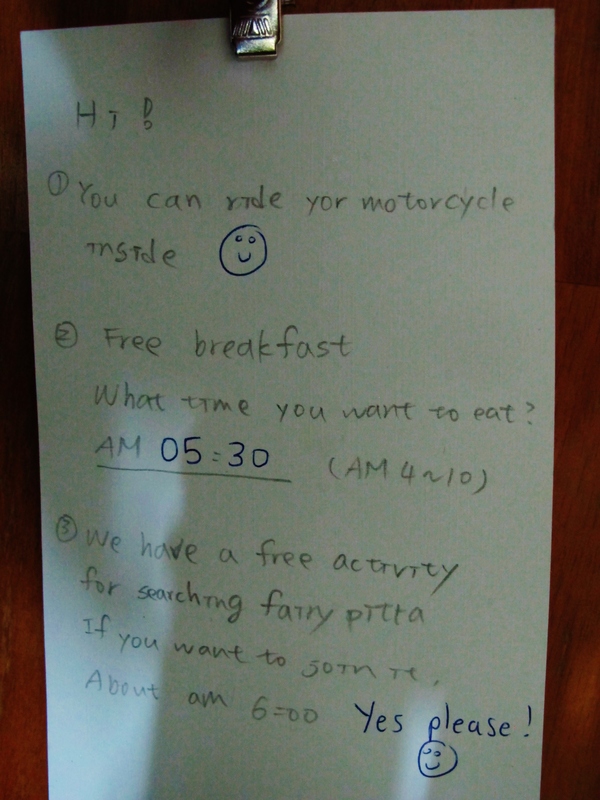 Note on my door at the Pitta Cafe …. now that is excellent service. The morning dawned grey and drizzly, but a calling Taiwan Hill Partridge in the distance felt like a good omen for the day! I elected to join the promised 6.00am Fairy Pitta-finding activity and it turned out to be an excellent decision. This involved driving with the Pitta Cafe owner for about 10 minutes to Linnei Park, on the outskirts of Linnei township. 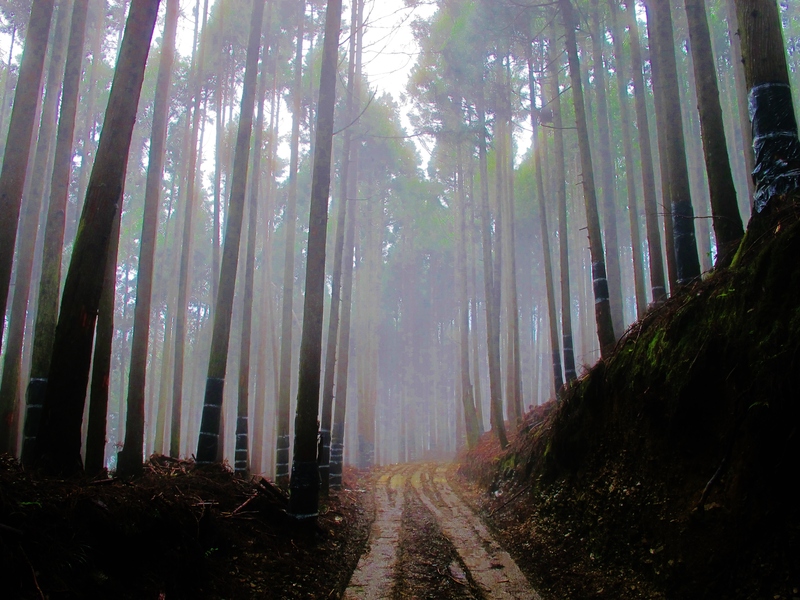 This is an area of dense, damp lowland forest, prime breeding habitat for Fairy Pittas. On arrival, at around 6.15am, we were met by some 30 birders, photographers and schoolchildren, all keen for a glimpse of the pitta. This large group walked into the forest, talking loudly all the while, and I was beginning to regret my decision to join the tour. I needn’t have worried – just 5 minutes walk into the forest, everyone suddenly stopped when one of the group leaders disturbed a Fairy Pitta from right next to the path. It flew up into some bamboo and showed fairly well before flying deeper into the forest. 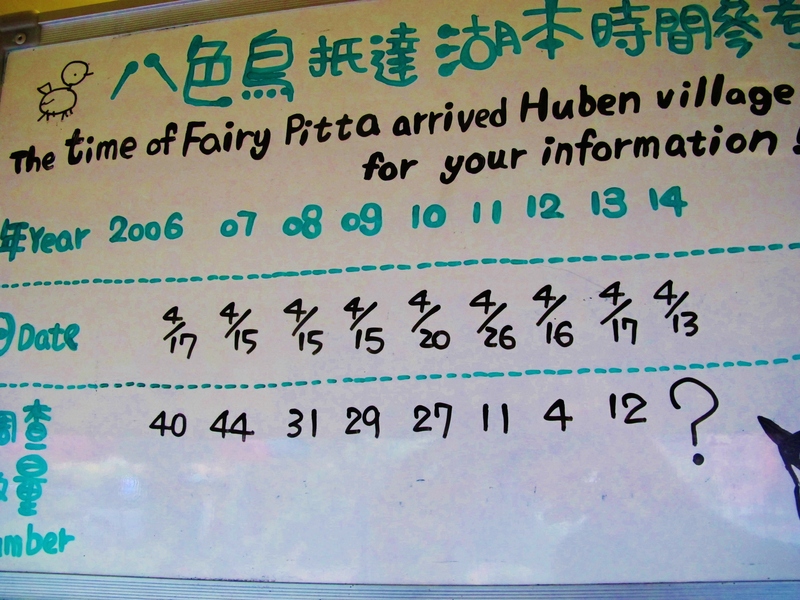 Fairy Pitta dates of first arrival and total numbers in the Huben area since 2006. There has been an overall steep decline in recent years, but thankfully numbers rebounded a little last year. 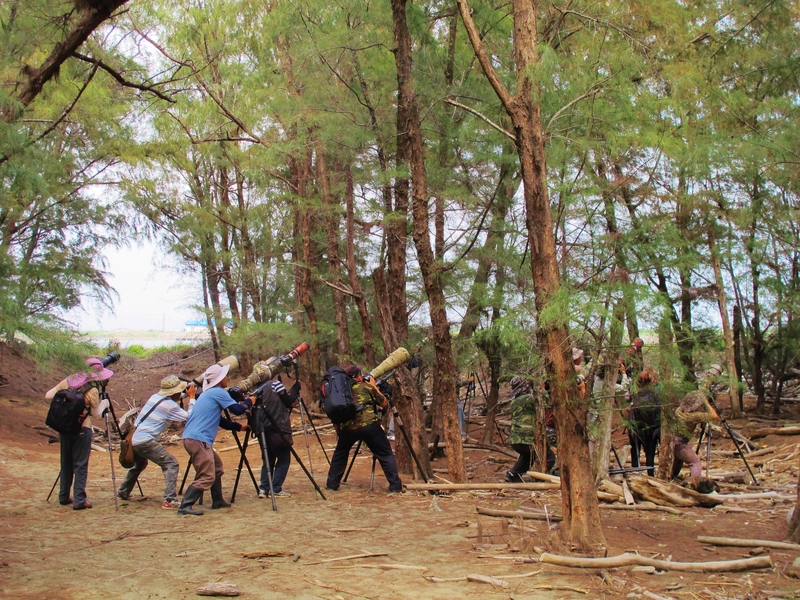 A little further on, a clearing in the forest was being staked out by at least 40 photographers. I waited for about 10 minutes, then suddenly a Fairy Pitta came down to the clearing. It showed extremely well, not bothered at all by the long lenses just 15 feet away from where it hopped around on the ground. It felt like a most unlikely way to see a pitta, which are notorious for being very shy and elusive. Here, they must be well-used to their legions of admirers! The pitta even indulged in some singing, which was loud enough to not be drowned out by the incessant clicking of the cameras. Well satisfied with this sighting, I returned to the trail, where another Fairy Pitta was calling from a thicket, and at least two further males were heard singing in the general area. It was remarkable how many photographers were in the general area (more than 100!) and how little it seemed to disturb the Fairy Pittas. 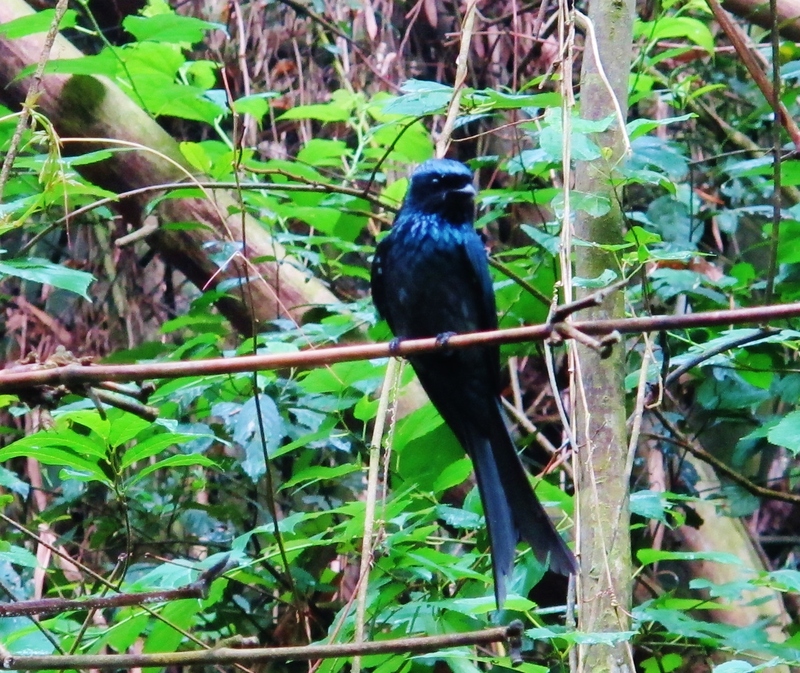 Bronzed Drongo, Linnei Park, May 4th. 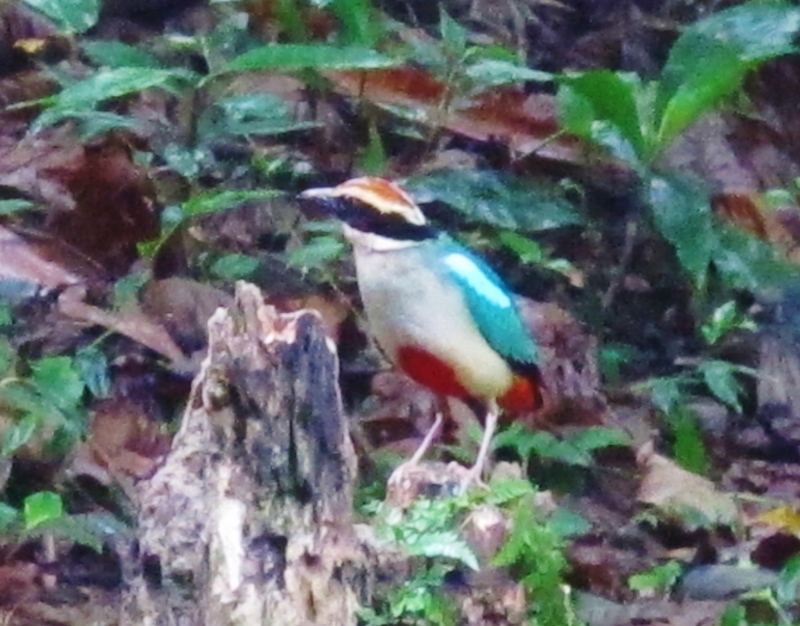 Fairy Pitta takes my life list to 1,773 species. 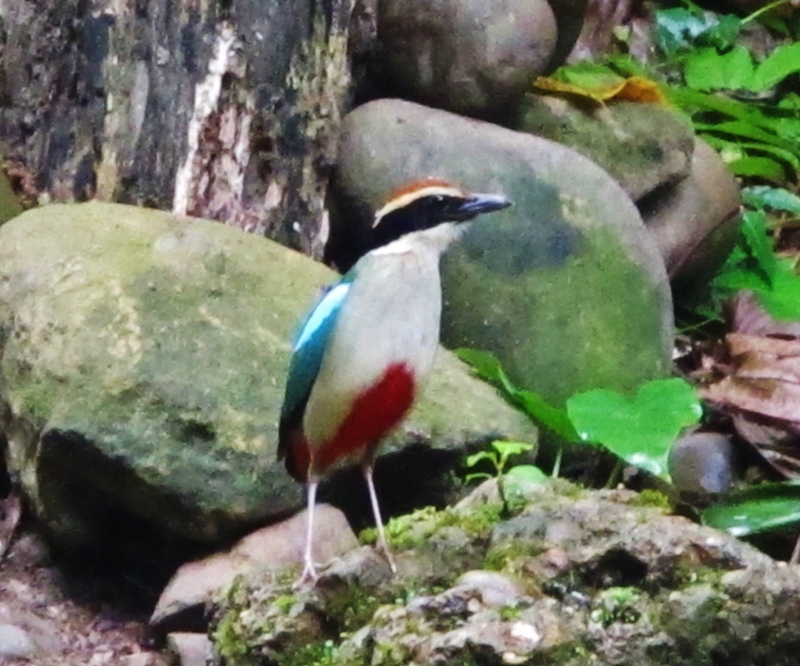 The pitta plus Asian Dowitcher, Red Knot, Ruddy Kingfisher, Asian Paradise-Flycatcher and Barred Buttonquail, all seen this weekend on the west coast, bring my Taiwan life list to 221 and my 2014 year list to 186 species. 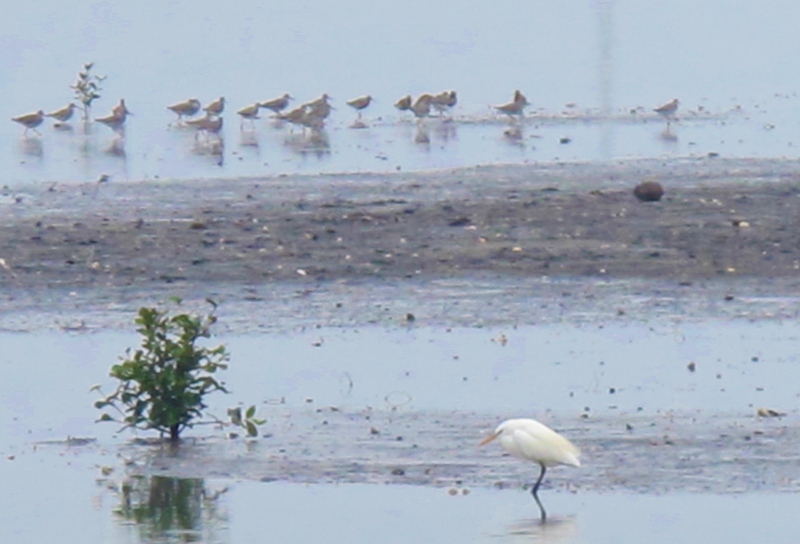 Chinese Egret and waders, Dapeng Bay, May 1st. A fairly short morning visit to the usual wader pools, in somewhat gloomy weather conditions with occasional outbreaks of light drizzle. A grand total of five Chinese Egrets stole the show today, several of them showing very well at close range. 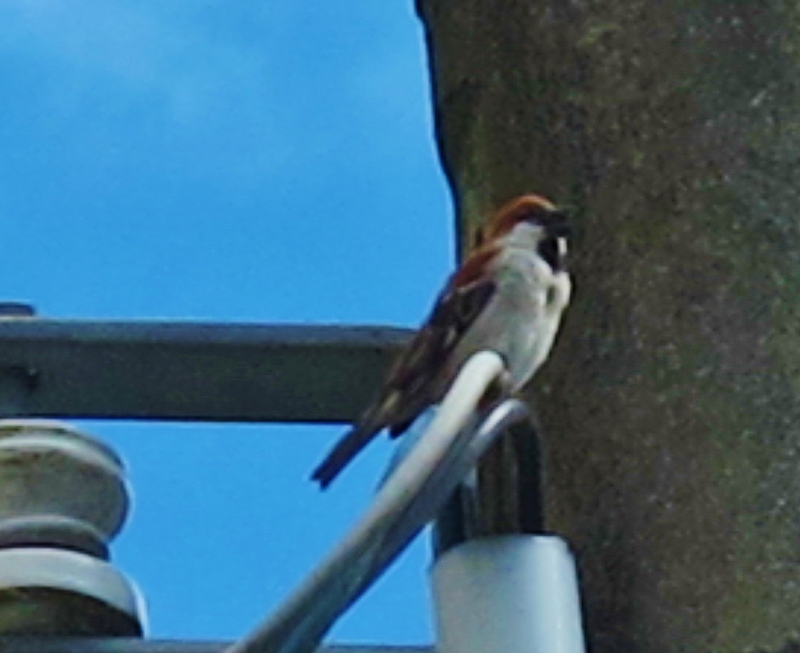 They are beautiful birds, and seemingly regular (even common!) at this site on migration. An Osprey was also present which spent most of its time loafing on the mud, but occasionally attempted an (unsuccessful) fishing foray into the bay. Wader-wise, it was another big day for variety, with seventeen species noted. Broad-billed Sandpiper was the most numerous wader today, with around 120 counted; this species is listed as “uncommon” in Brazil’s Birds of East Asia, but they seem easy to find, even numerous, in suitable habitat on the west coast of Taiwan in late April and early May. An ID challenge was presented by an intriguing stint that was consorting with the main Broad-billed Sandpiper flock. Unlike all the Red-necked Stints seen today – and indeed, almost all the Red-necked Stints I’ve seen over the last few weeks – this one was still completely in its grey non-breeding plumage. It always stayed with the Broad-billed Sandpipers, never venturing to join the Red-necked Stint flock feeding nearby. To my eyes, it appeared a little shorter-bodied and less elongated than Red-necked Stint. I suspected it was a Little Stint, but as this bird was still in full winter plumage it was impossible to reliably distinguish it from Red-necked Stint. So it will have to stay off the list, unless of course it stays for a while and moults into breeding plumage, in which case ID will be rather more straightforward. The mudflats and pools at the north-eastern corner of Dapeng Bay are currently a fantastic area to observe a wide range of wader species, with easy viewing from the cycle road, reasonable range, and excellent light in the morning. During a two-hour visit this morning, I observed no fewer than 18 wader species at this one spot, with three additional species elsewhere in the area. Today’s highlight was a small party of 8 Great Knot, several of which were in full summer plumage. This is a distinctive, attractive and uncommon speciality of East Asia, which I have previously seen on only a few occasions in Korea and Thailand. Nearby, a lone Whimbrel was also a Taiwan and a year tick. It was a pleasure to watch groups of breeding-plumaged Broad-billed, Sharp-tailed and Terek Sandpipers, Red-necked Stints and Ruddy Turnstones, all at close range, pausing here before resuming their northward migrations to Siberia. Terns were also in evidence today, with a single Whiskered Tern accompanying 5 Little Terns around the pools. Behind them, in the bay, a distant wooden raft had large numbers of Greater Crested Terns congregating around it. I found a closer viewpoint, and counted 72 …. but no sign of the critically endangered Chinese Crested Tern among them. This would probably be an excellent time to see the latter species as it heads to its only known breeding grounds on the Matsu islands. Heading home, I took a quick look at the marshland around the river under the big bridge at Donggang. Not much around except a single Grey-tailed Tattler and a couple of Little Ringed Plovers. 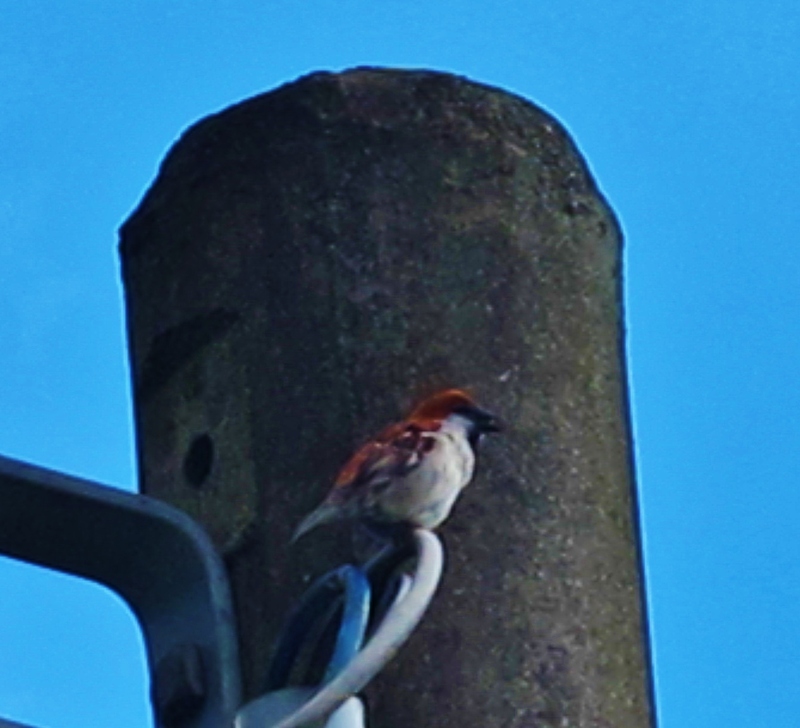 However, at the eastern end of the bridge, I happened to stop in the small village to make a phone call, and to my great surprise saw a Savanna Nightjar flying around in broad daylight. This was a most unexpected way to make up for my failure to find one at Wutai last week.